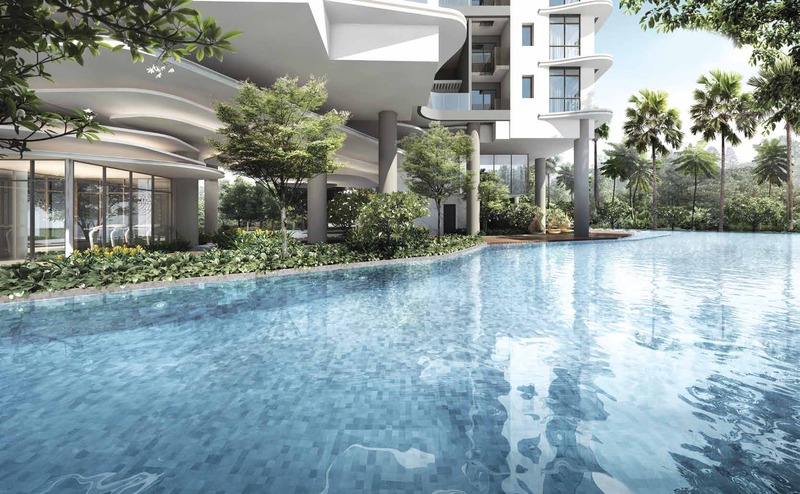 We present here the Coastline Residences condo, a new freehold residential development that will be launching for sale in the East Coast, in Singapore’s District 15. It is being built on the site of the former Parkway Mansion in the upscale Amber Road area. 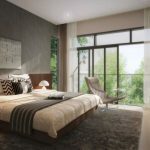 Located at 9 Amber Road, it will be within walking distance of the Chinese Swimming Club and the amenities of Marine Parade. 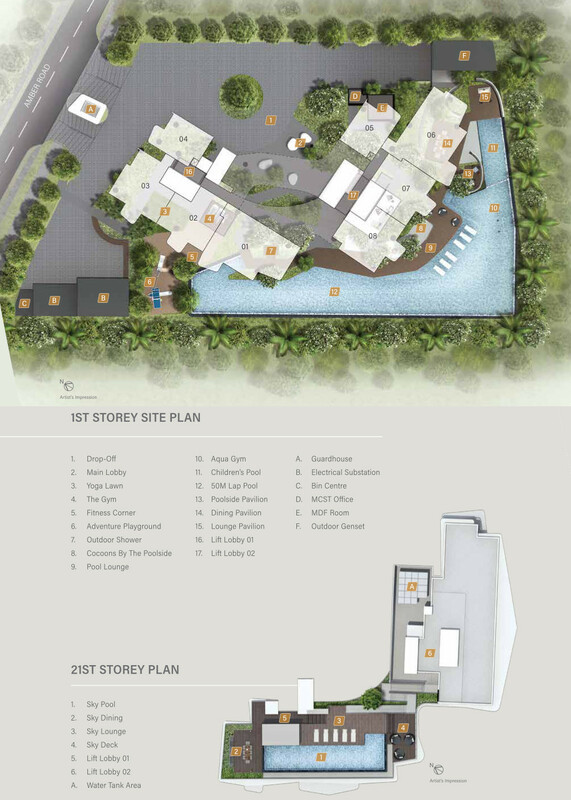 The Coastline Residences location has a lot going for it. 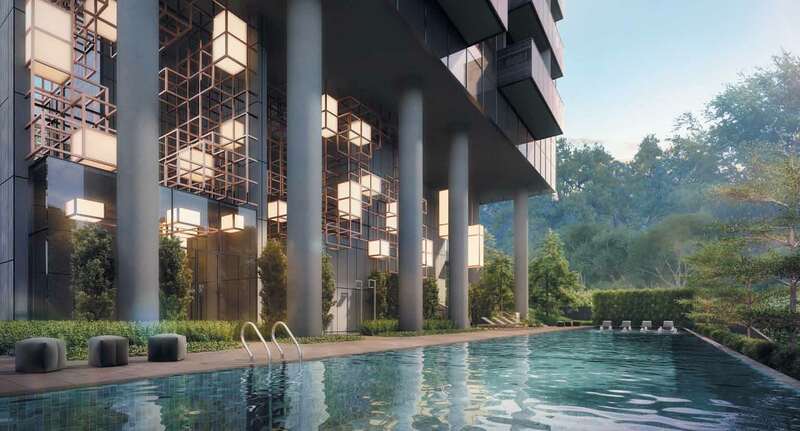 It is less than 3 minutes walk, 180 metres from the nearest exit of the upcoming Tanjong Katong MRT station on the Thomson-East Coast Line, that is due for completion in 2023, around the same time as Coastline Residences itself. 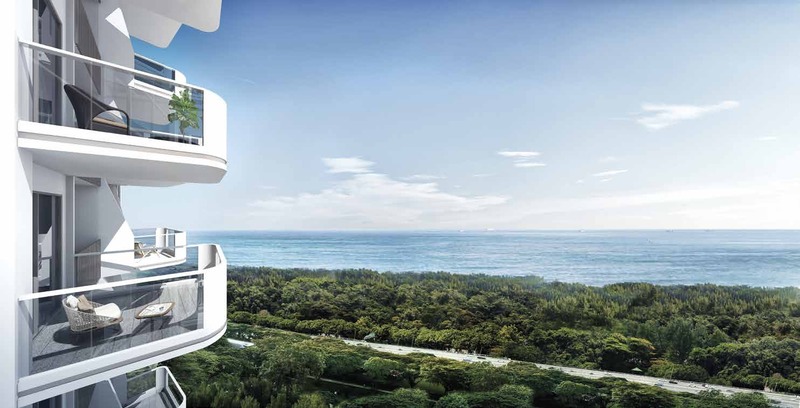 It is also one of the few sites to enjoy unblocked views of the sea off East Coast beach and park, without being right next to and getting the worst of the East Coast Parkway (ECP) traffic noise. Just note however, that the land between Coastline Residences and the ECP is a reserved site, so something could be built on it in future. The site itself was previously occupied by the 17 storey Parkway Mansion. 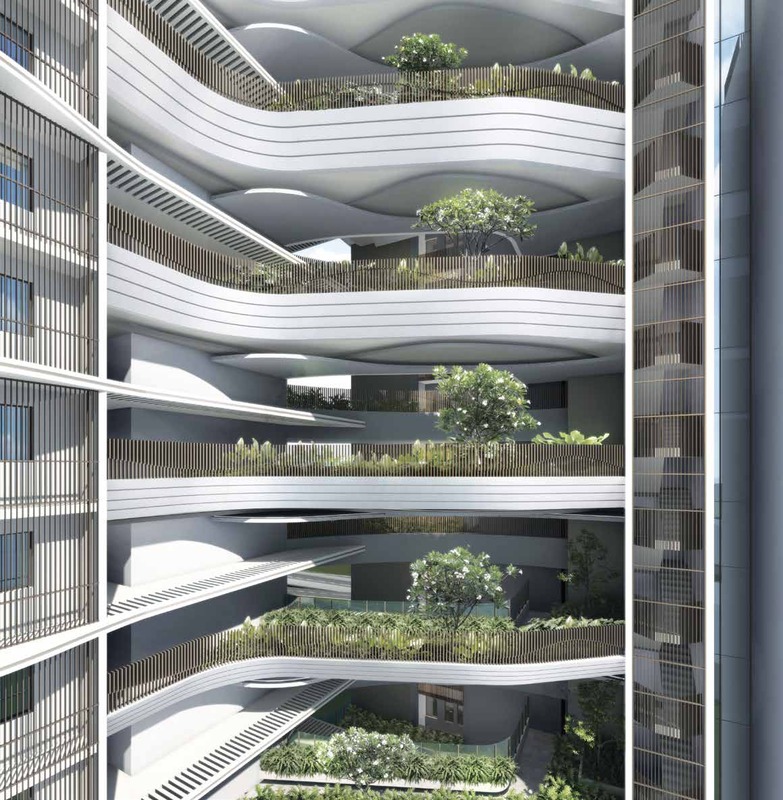 But with the higher plot ratio in place, the new Coastline Residences condo will rise taller, to 21 storeys high. 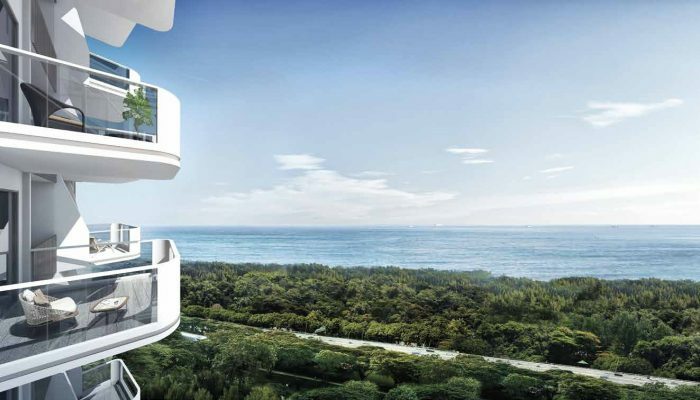 With that, more units will get panoramic sea views. 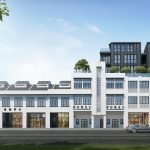 The Amber Road neighbourhood is one of the more exclusive areas of Singapore, comprising a mix of new upmarket condominiums, and old ones that are being replaced by new developments such as this project, and Amber Park and Nyon across the road. Many of the residents here grew up in the area or have lived here for a long time. It also attracts a strong following from expatriates drawn to its beaches, its relaxed environment, and proximity to the city. Amber Road, and the East Coast is traditionally considered among the most desirable places to live in Singapore. There are many reasons for the enduring popularity of this location. One is the sheer convenience of this place for those working in the city centre. Via the ECP, it is about 10 minutes drive from the Marina Bay / Raffles Place CBD (Cenral Business District). And if you travel often, Changi International Airport is 15 to 20 minutes ride away down the ECP. It combines this proximity to the city with the relaxed, open feel of a residential neighbourhood. If you are so inclined, you can even cycle from Coastline Residences to work there via the park connector. But what really draws people to this place and keeps them here, are perhaps its more intangible features. Its rich character that has lingered on through the years, and contributed to a certain charm and sense of coming home. Its rich and diverse food scene from a mix of cultures. And of course, there are the beaches and sea off East Coast Park. No other place in Singapore offers this kind of sea views currently. Homes in the East Coast are highly regarded, partly because of their mostly freehold status too. 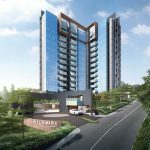 Such that they typically rank not too far from those of the prime central districts of Orchard Road, River Valley and Bukit Timah. 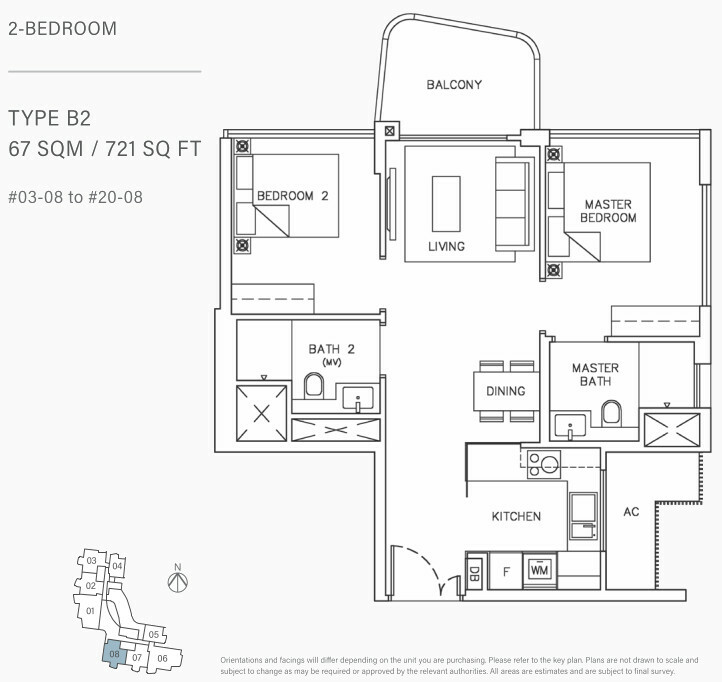 The Coastline Residences floor plan brochure is available. 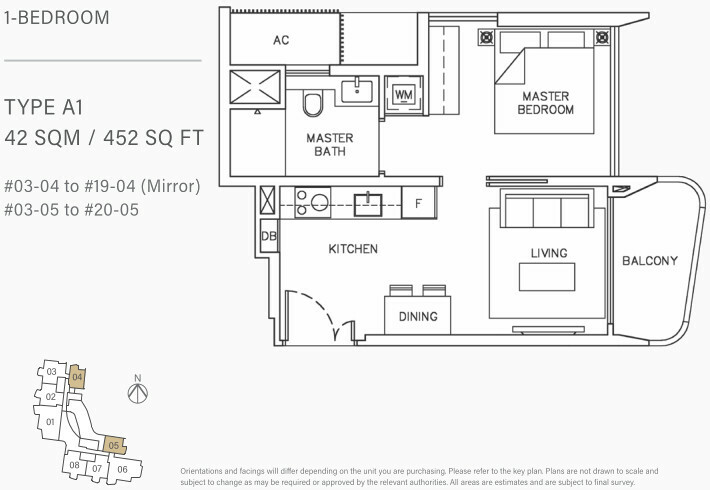 Below are some examples floor plans. Please drop us your contact details through the Contact Form if you would like the floor plan brochure to be emailed to you. 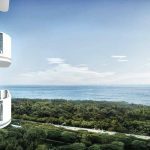 The Coastline Residences condo will be a high-rise residential development at Amber Road, sitting among similar upscale homes. Its site is roughly trapezoid in shape, slanted somewhat north-westerly / south-easterly, but quite regular and space efficient. This project sits between the newish Amber Point on its west, and the older Orchid Mansion to its east. 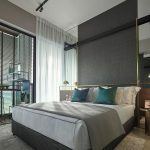 Across Amber Road is the recently completed Amber Skye, the upcoming Nyon condo that is being built at the same time as Coastline Residences, and an old single-storey bungalow between them. South of the site, facing the ECP and East Coast Park, is a stretch of relatively empty land with some low-rise buildings on it. 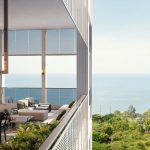 This is the side that offers wide unblocked views of the sea and horizon to high floor units, as well as channels winds and sea breezes through the development. 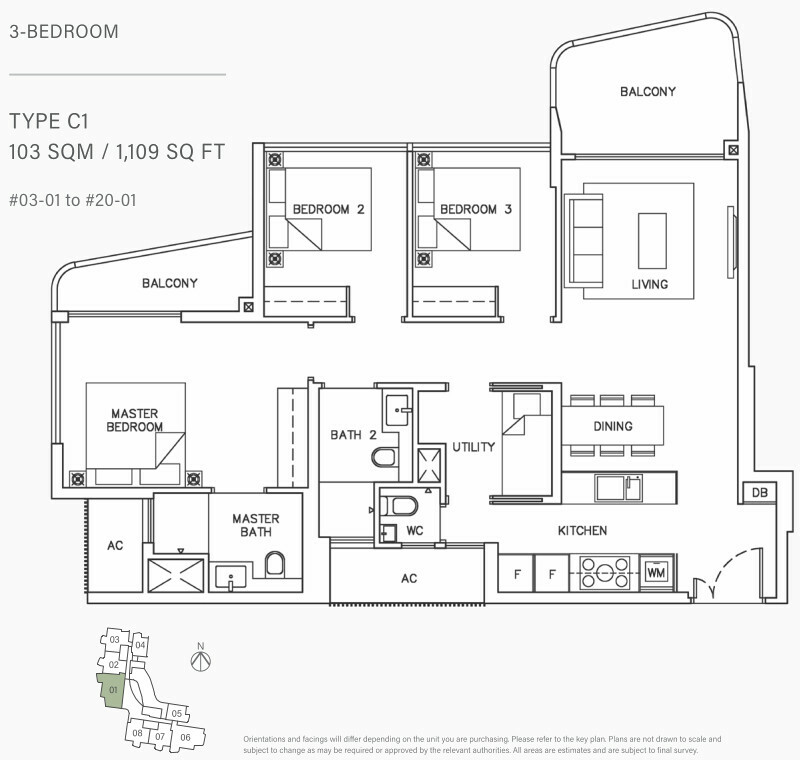 The Coastline Residences showflat is not available for viewing yet. Please send us a note via the Contact Form if you wish to be kept posted when the Coastline Residences condo showflat is due to open. 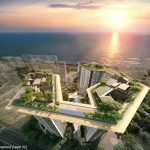 The exact Coastline Residences prices are not available yet. Please let us know via the Contact Form if you wish to be kept updated on the indicative pricing when ready. Parkway Mansion previously stood on this prime freehold site. 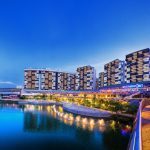 It was sold at SGD$146.99 million in December 2017, in a collective sale to SL Capital (3) Pte Ltd, a consortium led by Sustained Land Pte. Over and above the sale price, an estimated development charge of $21 million was paid to the state for intensification of land use. Under the URA Master Plan, this site is zoned ‘Residential’ with 2.8 gross plot ratio (ratio of allowable built up space to land area). Given the site size of 38,975 sq ft and maximum built up area of 109,131 sq ft, against total land costs of $168 million, this works out to a land rate of SGD$1,539 per sq ft per plot ratio (PSF PPR). After factoring in development, overheads, marketing and financing charges of about $600+ PSF, the break even cost for the developer could be in the region of $2,200 PSF. Hence analysts have estimated a possible selling price range of between $2,550 to $2,600 PSF, though Sustained Land could choose to market it a lower rate for its Preview launch. 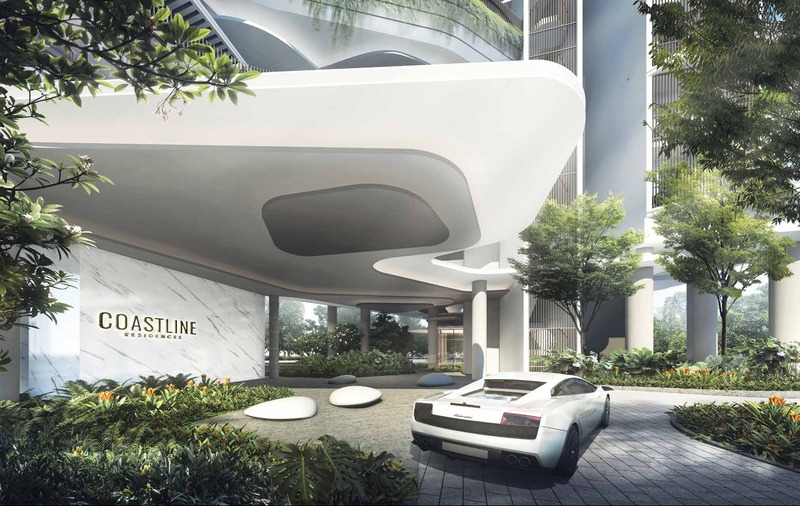 Coastline Residences Singapore is being developed by SL Capital (3) Pte Ltd, a subsidiary of Sustained Land Pte Ltd. 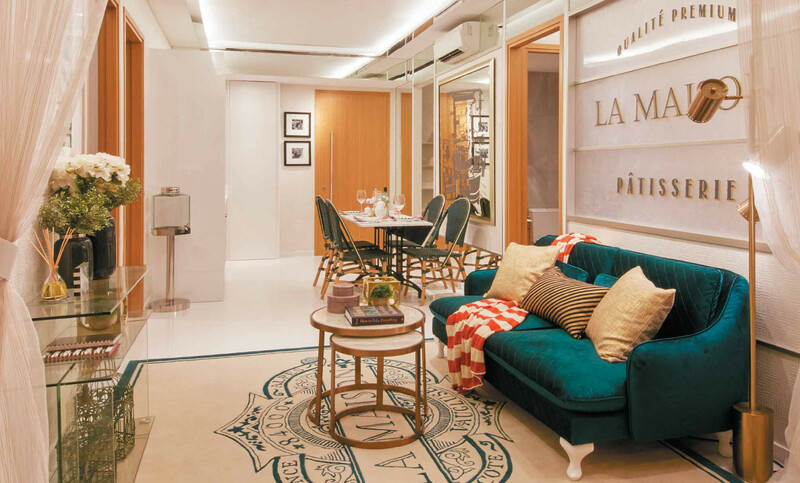 Sustained Land is a home-grown developer headquartered in Singapore, who also works in collaboration with various subsidiaries, associates, and joint venture partners. Since its debut in 2006, Sustained Land has set out to develop homes that are functional, yet incorporating style and quality. They also focus on acquiring well located sites for their projects, with a definite leaning towards freehold ones, as these have enduring appeal and value. Some of the projects it has developed, or is in the process of doing so, are 3 Cuscaden opposite Wheelock Place, Tre Residences at Aljunied MRT station, The Poiz Residences at Potong Pasir MRT station, The Line at Fort Road, 8M Residences in Margate Road, and One Meyer at Meyer Road (these 3 being near to Coastline Residences), Regent Residences, Suites de Laurel in Bukit Timah, and Casa Al Mare. Location. 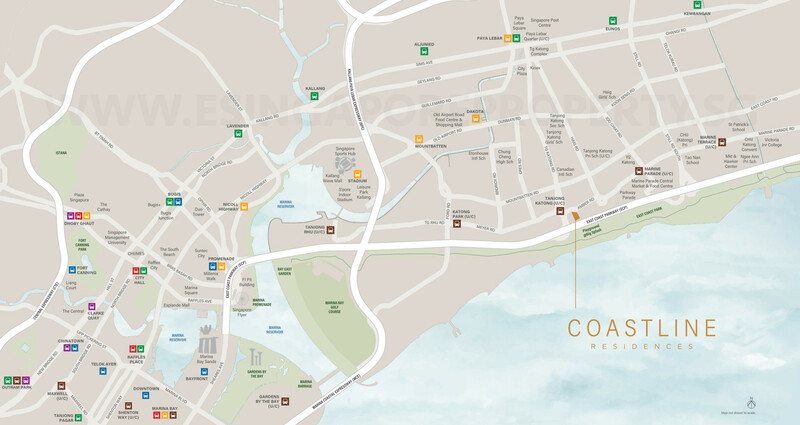 The Coastline Residences location is at 9 Amber Road, within the prized Katong / Marine Parade area. 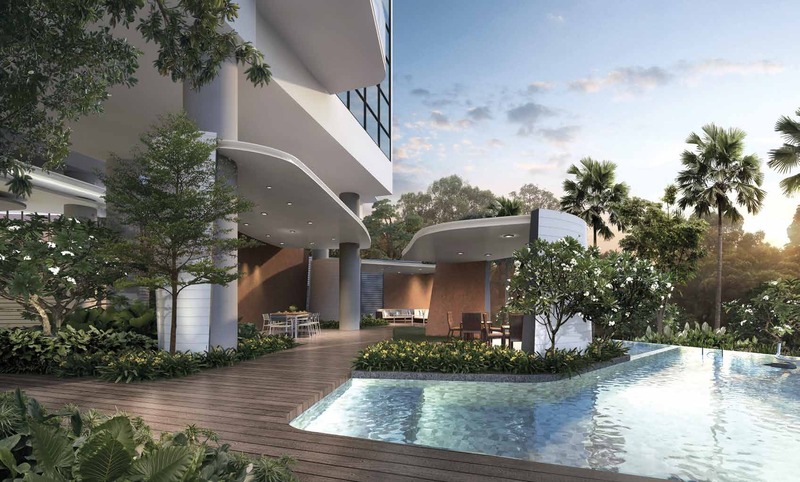 This neighbourhood in the East Coast of Singapore has traditionally ranked as one of our top residential estates, not far behind the prime central districts. 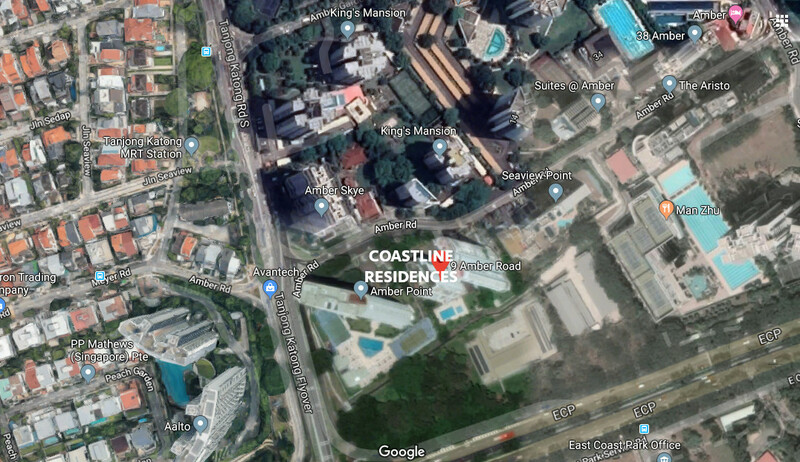 Coastline Residences itself is one of a string of private condominiums stretching between Fort Road near to the city centre, all the way to the Bayshore area, that faces towards East Coast Park and the sea. 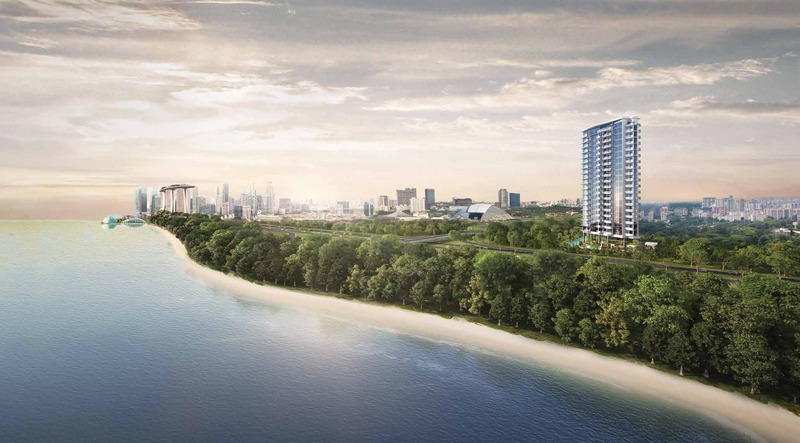 It is fortunately set further in than the row immediately fronting the East Coast Parkway (ECP), and so does not get the brunt of the expressway traffic noise. Shops, Eateries, Banks, Supermarkets. 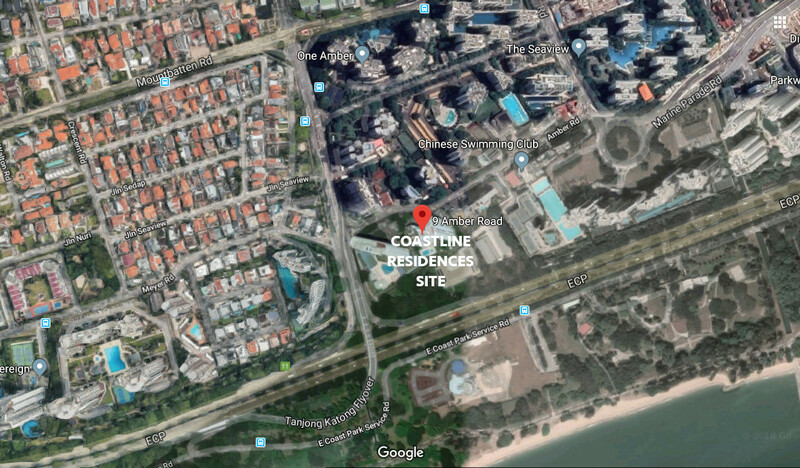 The Coastline Residences condo location is roughly 650m or 10 minutes walk to Marine Parade Town Centre and Parkway Parade. This is where East Coast residents shop, eat, bank, entertain, and hang out at. It has a complete range of shops, from the mundane to lifestyle options, from hawker fare to fast food and restaurants. There are two supermarkets and a department store, a cinema, and outlets from every single retail bank in Singapore. Schools. Highly rated primary schools in the vicinity include Tanjong Katong Primary (within 1km), and CHIJ Katong, Kong Hwa, Haig Girls, and Tao Nan primary schools (within 2km). Other academic institutions of note in the neighbourhood are the Chatsworth International School (East Campus), Canadian International School (Tanjong Katong Campus), Victoria Junior College, and Chung Cheng High School. Sports & Recreation. 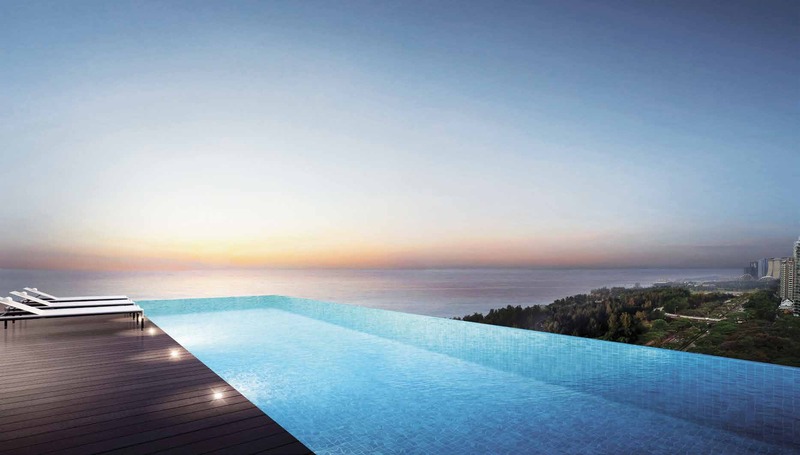 The Coastline Residences location is close to several recreational offerings. There are underpasses at regular intervals across the ECP, that take us to East Coast Park and Beach, or to Xtreme Skate Park and East Coast Lagoon. From there, we also have the park connector along which you can cycle all the way past Kallang Basin to Marina Bay and Gardens by the Bay. Nearest MRT Station. 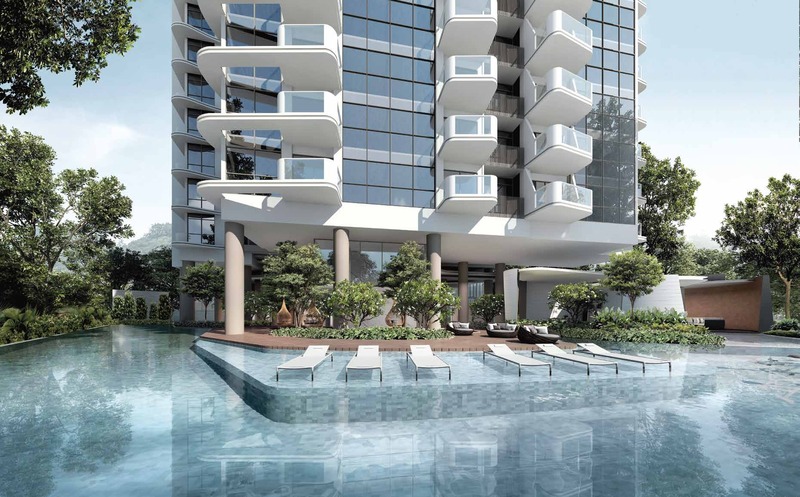 The Coastline Residences location is about 160m, or 2 to 3 minutes walk from the upcoming Tanjong Katong MRT station on Thomson East Coast Line (TEL), that is due to start operations in 2023. This line takes residents to Marina South and Marina Bay, Shenton Way and Maxwell Road, Orchard station and Orchard Boulevard, and up to Thomson and Woodlands. Accessibility. 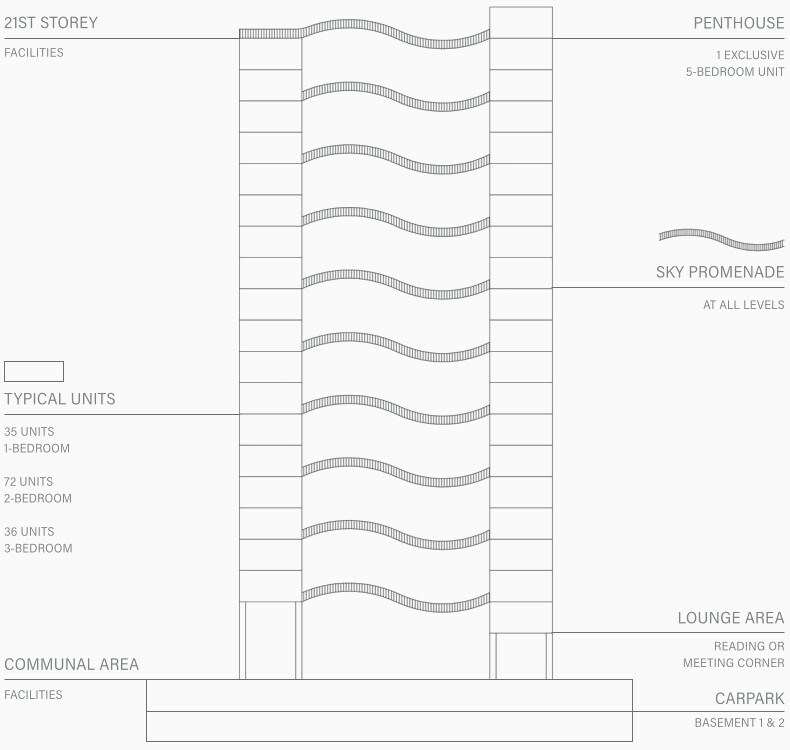 The accessibility of the Coastline Residences condo location is a strong point. It is a five minute drive from the ECP, and one minute to it. Once onto the ECP, the drive to the city downtown area takes about 10 minutes off-peak, which makes this place convenient for those who work in Marina Bay or Raffles Place. This is also rather convenient for those who travel frequently. 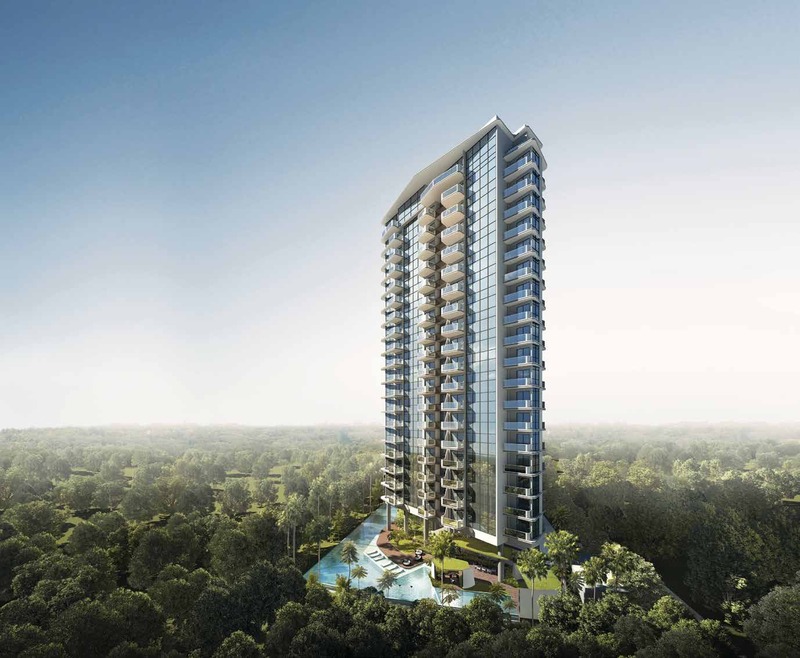 It is a 15 minute drive from the terminals of Changi Airport and Project Jewel @ Changi.